Inside this Book (are three books). is yet another book with brilliant paper engineering from the master of picture books that playfully inspire creativity, Barney Saltzberg. When I was a kid there wasn't much more exciting than blank pages folded in half and stapled to make a book, and I have students in the library doing this every day. In fact, there is a really neat way to fold a single piece of paper to make an 8 page book and I've included a video at the very bottom of this review. Inside this Book (are three books). is narrated by Seymour, the oldest of three siblings. His mother has made three blank books and the siblings have created and illustrated stories in them. As the title indicates, all three of these books are included between the covers, each one a bit smaller than the first, so that it feels like you are reading the actual book each child wrote. But watch Saltzberg's fantastic book trailer below to get a real feel for just how beautifully this concept works. 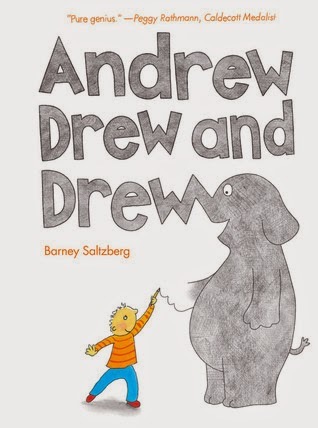 As if this book-within-a-book concept was not enough, Saltzberg is very thoughtful with what is actually in each book that the siblings write and illustrate giving readers the idea that the blank pages of a book are the perfect place for any idea and accepting of all abilities. 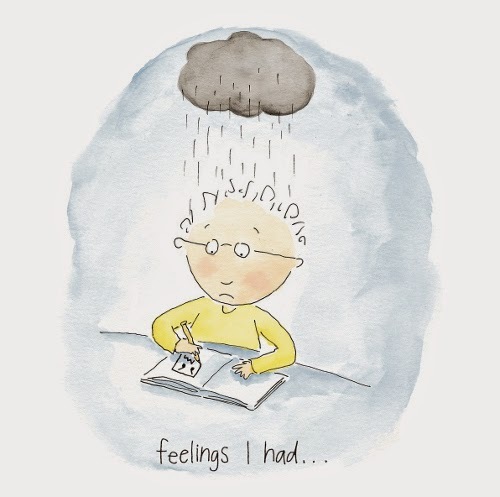 Seymour writes about his his feelings, his observations and finishes with a comic strip about a hungry monster. 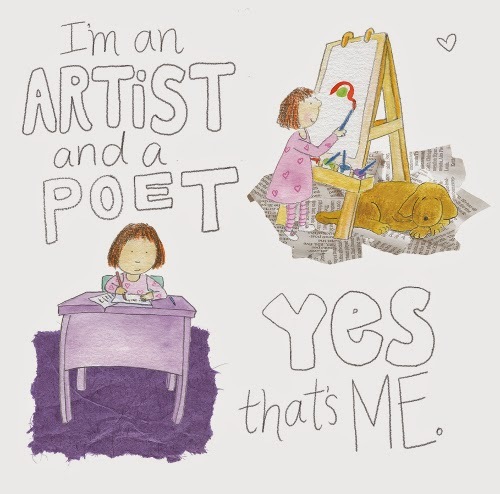 Fiona's book is next and she is a creative dynamo. 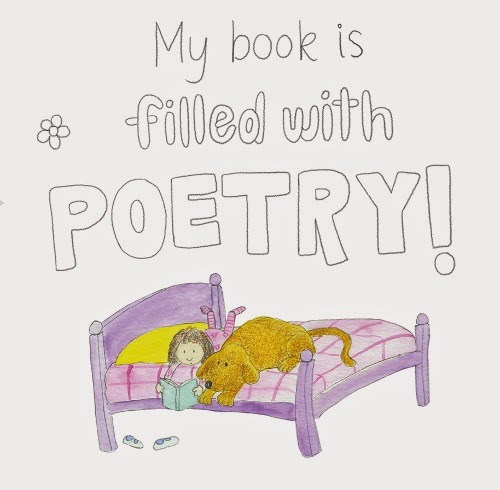 An artist and a poet, she fills her pages with rhymes, including a poem about her dog Fleabee. 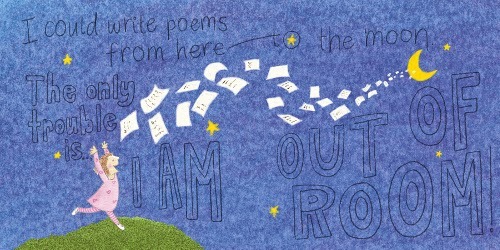 She finishes by telling us that she could write poems from "here to the moon" but she has run out of room. 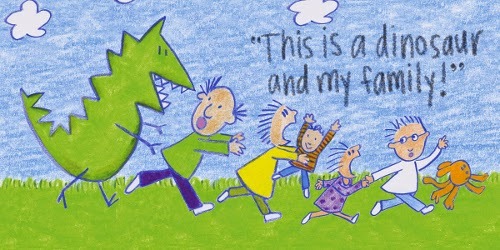 The final, smallest book is by Wilbur, who can't read or write yet, so he tells Seymour to write. 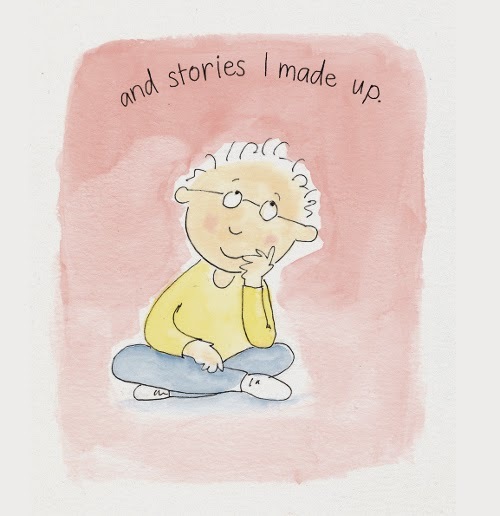 Wilbur's book is very funny and kids really get that, even though he can't read or write yet, he can tell a story in his own way. I have read Inside this Book (are three books). 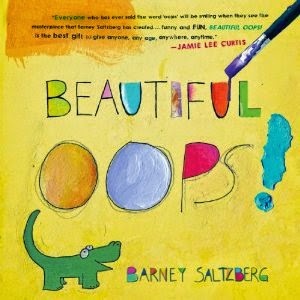 over and over, across all grades and it is universally loved, like all of Saltzberg's books. Inside this Book (are three books). should be in every library, every classroom, every child's hands!